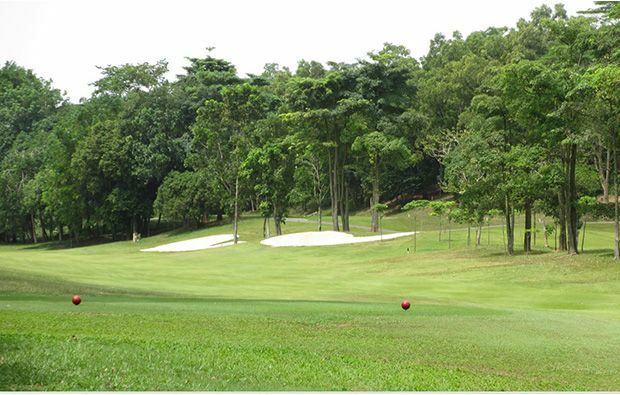 Tering Bay Golf and Country Club, is an 18 hole, par-72 golf course, playing at a maximum length of 6405 metres. 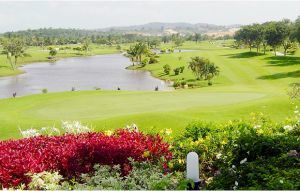 Although there is a choice of tee boxes, making it playable for golfers of all abilities. 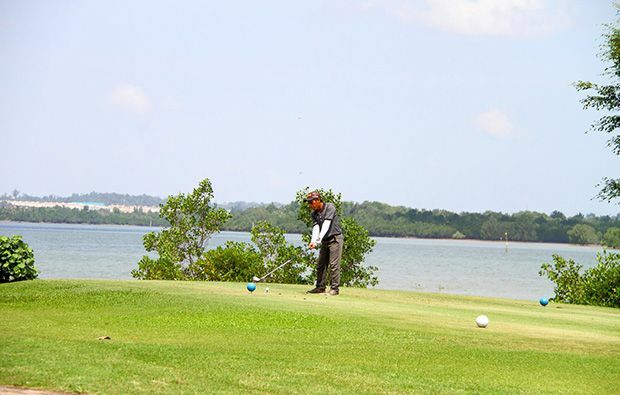 The course features plenty of lush vegetation, as one would expect from an island in this region and there are lovely views of Tering Bay, to be enjoyed throughout a round. 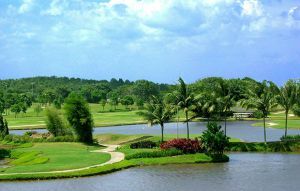 The main hazard on the course is water, in the form of a number of lakes. These present a number of options throughout a round of golf at Tering Bay, with the choice of taking them on or laying up. In terms of risk/reward, there is plenty to think about on each hole and mistakes can be costly but good shots, very well rewarded. 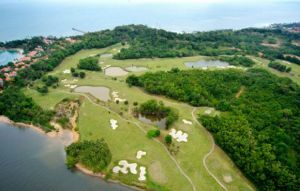 As with any Greg Norman designed golf course, there are plenty of large bunkers, many of which are deep, with fine sand. Areas of the course can be quite hilly and being an island, wind can also play a part during a round at Tering Bay. The fifth hole is worth as mention, as the elevated tee box makes for a downhill drive but water crosses the fairway, just at the typical landing spot, about 200 yards in to the hole. 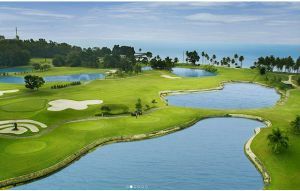 Therefore, players are faced with a choice of laying up before the water or attacking it and driving the ball over the hazard. In terms of facilities, there is a club house, although this is nothing special by today’s standards. In addition, there’s a restaurant, coffee shop, driving range and putting green. 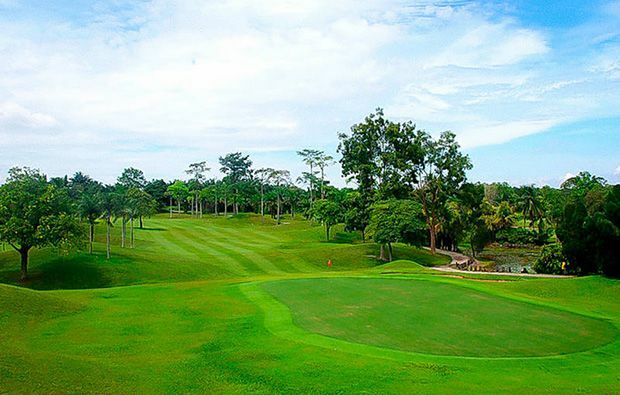 It’s possible to stay in close proximity to Tering Bay Golf and Country Club, on the island of Batam but with excellent connections to Singapore, many people choose to stay there and make the short and convenient trip across the bay. Tering Bay Golf Club has different Services to offer. Choose a date and number or players to see the rates.